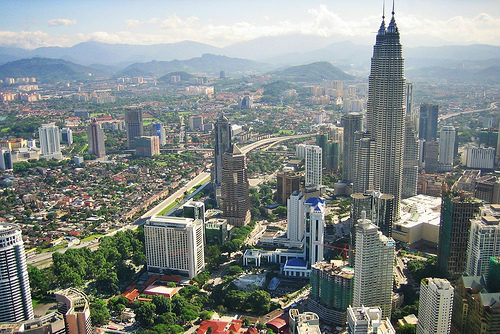 A good fare Kuala Lumpur. 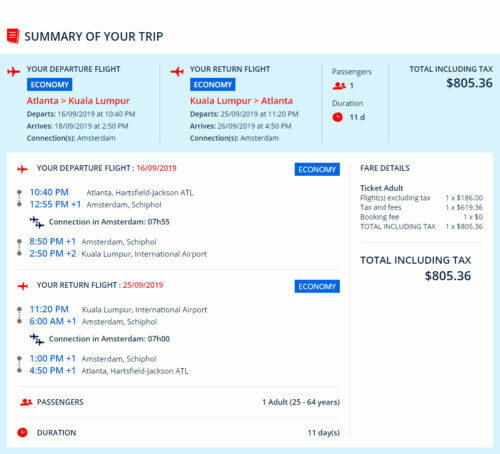 ITA will show prices of $831 while Air France (a KLM partner) will price the same fares at $805. 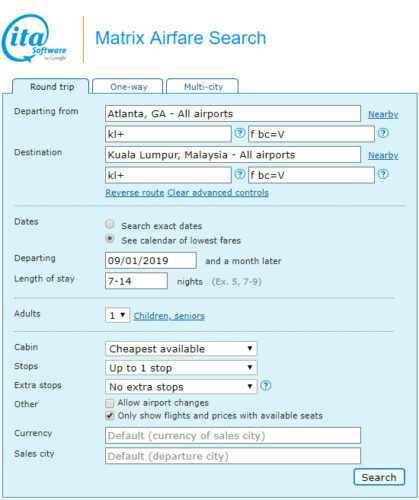 Valid for travel from late-April 2019 – early-May 2019 and from early-September 2019 – mid-November 2019 and from mid-January 2020 – early-February 2020 for Monday through Thursday departures and for Sunday through Wednesday returns. A 7-day minimum stay is required. Must purchase at least 14 days in advance of departure.